This article discusses the top five (common) reasons why an engine light may come on, including catalytic converter replacement, the gas cap being loose, spark plug replacement, mass airflow sensor and oxygen sensor. By discussing each of these, it’ll give moms peace-of-mind and help them avoid future problems down the road. Will I damage my vehicle if I drive with my engine light on? Jamie: The purpose of the “Check Engine Light” or “MIL Light (Malfunction Indicator Light)” is to inform the driver that there is a malfunction within the vehicle’s engine management or emission control system. A malfunction can mean either a component has failed, is not performing properly (possible causing excessive emissions) or a situation may be occurring whereby the engine needs to be turned off immediately to prevent damage to the engine or emission control components. In most cases you can continue to drive your vehicle, however, should the MIL begin flashing while driving, pull over as soon as it safe to do so and turn the engine off. 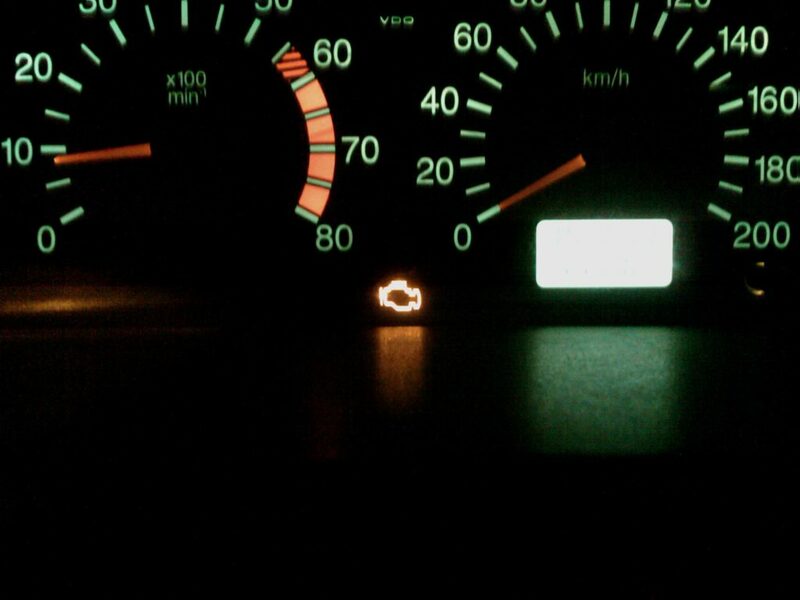 A flashing MIL is indicating that the engine is misfiring to the extent that damage to the catalytic converter(s) and exhaust system is imminent. Shutting the engine off and having the vehicle towed to a repair shop for diagnosis and repair is the best course of action. Otherwise, investigating the cause for the light being on should be performed as soon as possible in order to prevent damage, maintain fuel economy, performance and ensuring that your vehicle’s emission system is performing properly to protect the environment from excessive emissions. The most common cause of the MIL being illuminated is failing to properly tighten the fuel filler cap after adding fuel. If the light comes on within a day or so of having filled up check to see that the fuel filler cap is tightened properly. If you check the cap and its loose tighten it and drive the car for several days and monitor the MIL. Should it go off after several drives you have most likely found the cause and further diagnosis may not be necessary. If you don’t find the cap to be loose, or the light remains on, make an appointment to have the cause investigated. All vehicles these days have the ability to closely monitor the engine management and emission system and have the ability to give the technician information and feedback as to where the problem may be. The information is given in a letter/number combination and today’s cars may have upwards of 350 possible ‘trouble codes’ available to assist technician. They do not, however, tell the technician which component has failed, why, and what to change. These codes give some general information as to the cause and the technician has to diagnose it from there. Should you have the “MIL” or “Check Engine Light” illuminate on your dashboard bring to it to Master Mechanic and their staff skilled technicians who are trained and equipped to deal with any vehicle issue you may have.